If you are looking for a good laugh, then you have come to the right place. Animals can be the cutest things out there, and these photos prove just that. 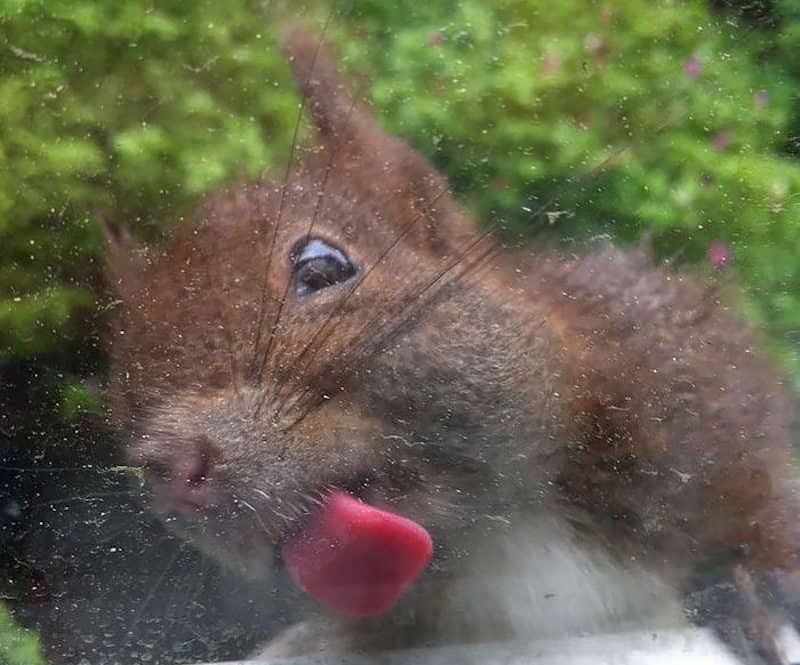 These perfectly timed pictures of various animals licking windows show just how adorable and crazy they can be at times. 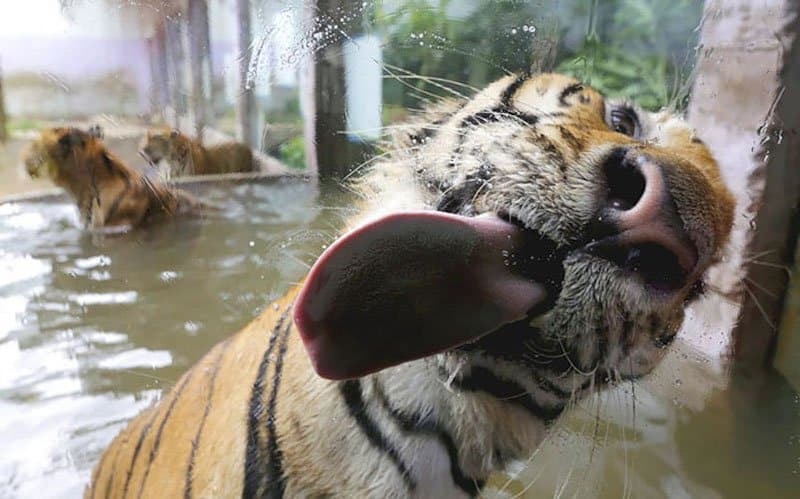 We wonder if some of these animals don’t know if there’s actually a window there at all, they’re just having the time of their lives licking water droplets, or in one case, peanut butter. 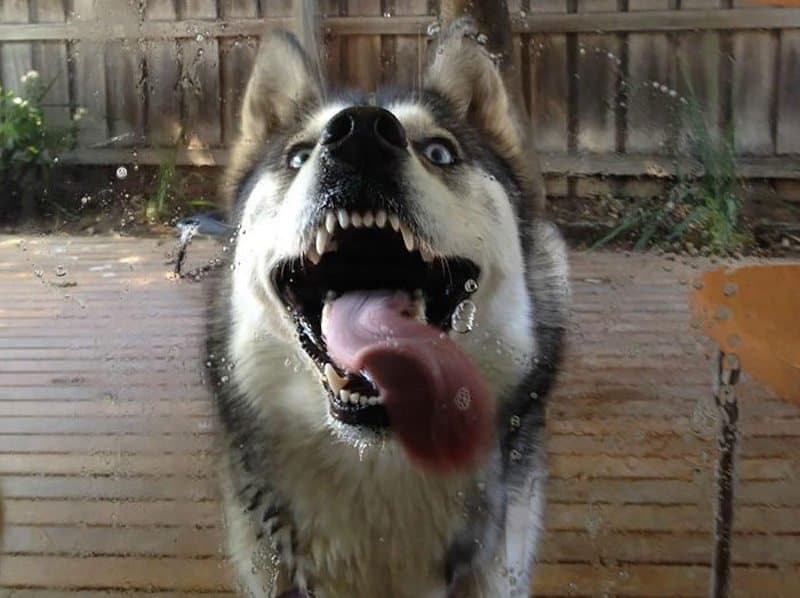 This looks like a husky gone wild! 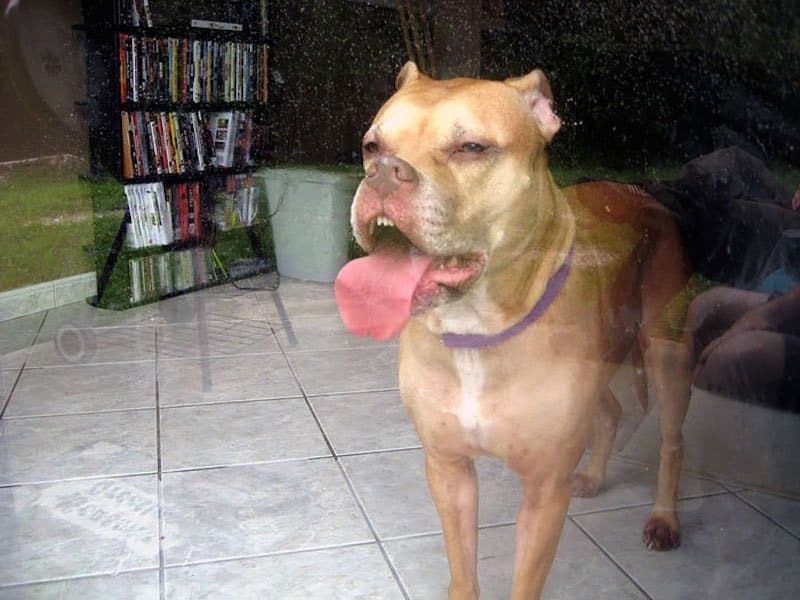 Either they are very excited to be outside or they really want whats on the other side of that glass, but it definitely looks like one happy dog to us! 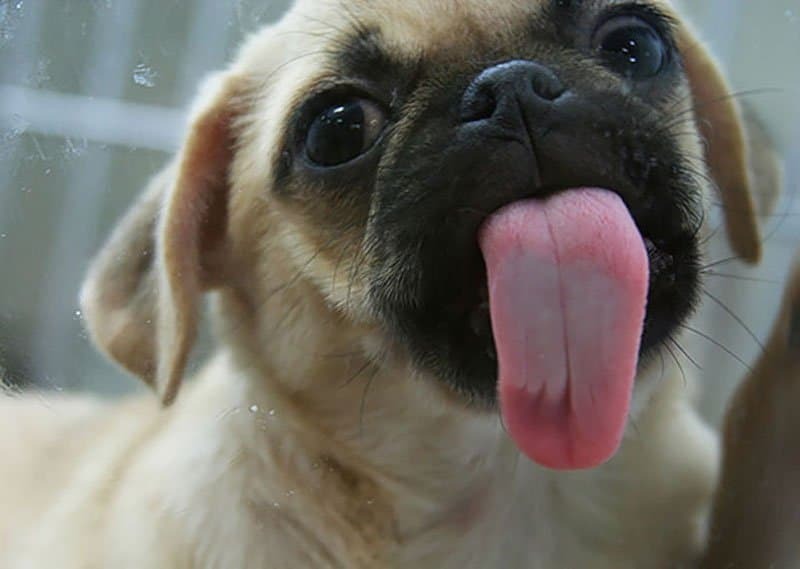 From this photo, it appears that the tongue might be bigger than this little pug! 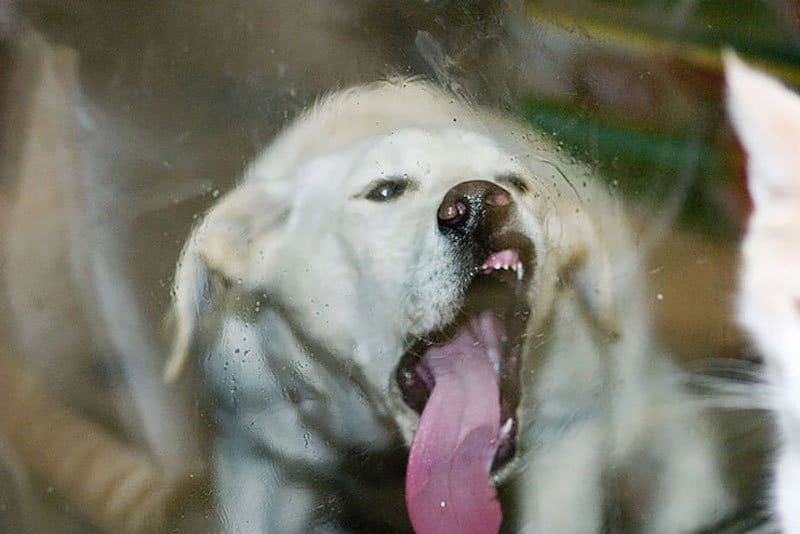 That is one long tongue for such a small dog, but they must have tasted something good on the window because they are bringing out the whole tongue to lick it up. Sure, the owner must have done some editing with this photo, but how cool does this one look? The tongue is all funky-looking and those water droplets are so clear. The owner of this dog is nice and cruel at the same time. They are giving the dog a treat, as most dogs love peanut butter, but they’re giving it to them on a window? The dog doesn’t mind and is determined to get that peanut butter! They say bulldogs are the meanest breed out there. This bulldog looks like a big baby to us and is patiently licking the window while waiting for their owner to get back home. 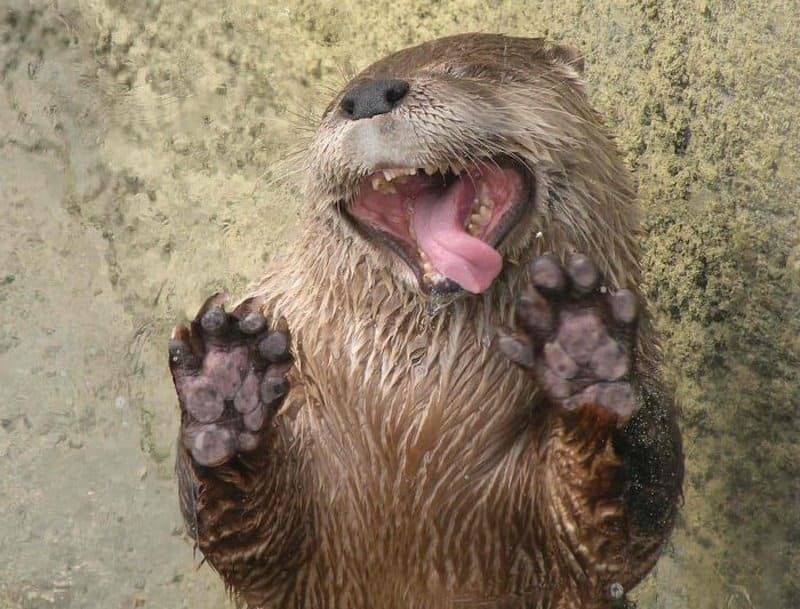 This otter looks like it’s having a blast licking that window. If you didn’t know there was a window there, you’d probably think he was a mime or something going crazy. 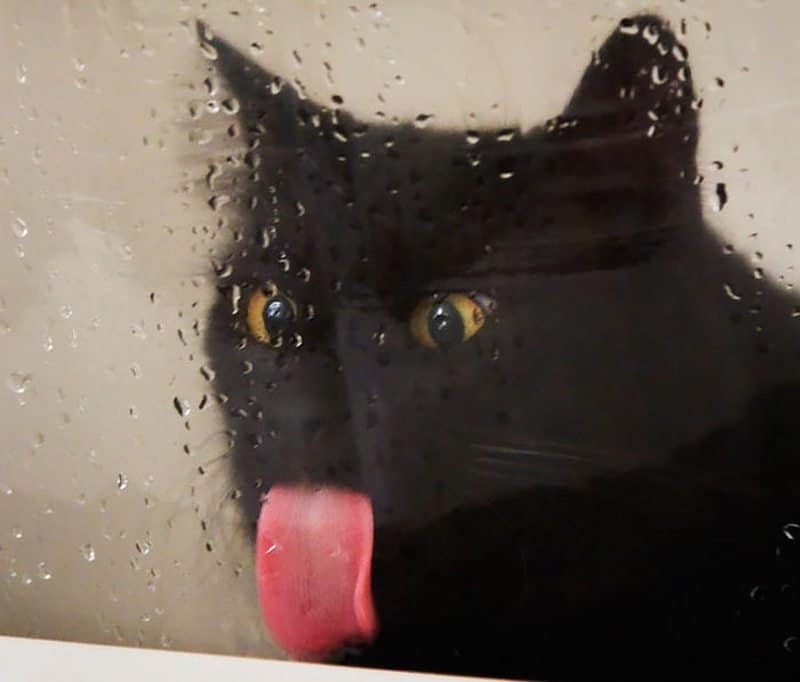 This black cat is determined to get those water droplets on the window. Its eyes are so intense and we love it, but that pink tongue truly makes the photo pop. We all think that mice are the scariest creatures out there and we tend to jump on counters when we see them. And then we look at this adorable picture, wondering how people can be afraid of them. Their tongue is so small, especially compared to others on this list. 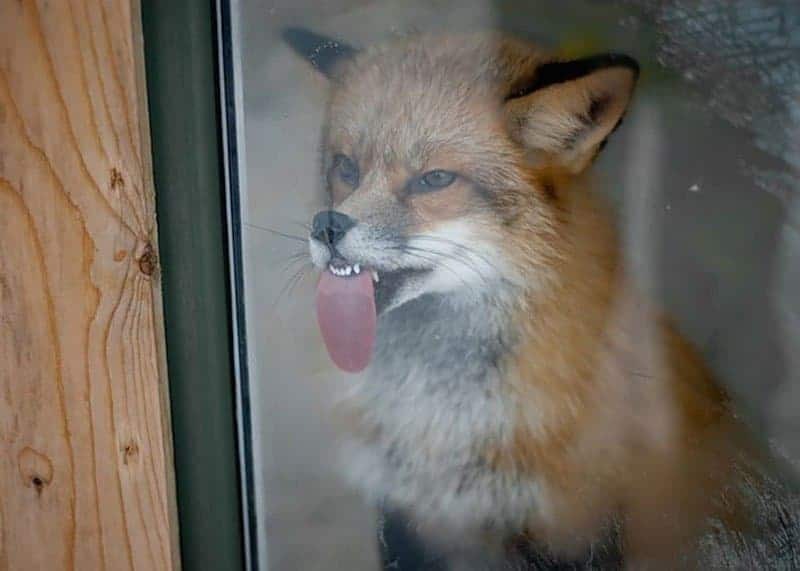 This photo gives us a bunch of different emotions, as that fox is so cute, but then their eyes look like they want to kill whatever is on the other side of that glass. The shot is perfect and that tongue is just waiting to lick it’s prey! Huskies love their windows! 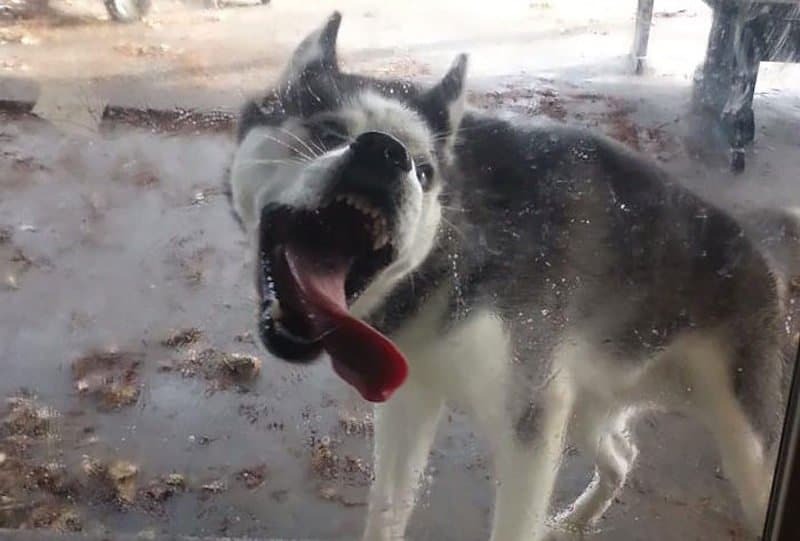 Another husky is beyond excited to see their owner and they just want inside to give them kisses, but for now the window will do. Tigers can be one of the scariest animals out there, as they look like they could eat anything in front of them. You look at this photo and how can you not love tigers? 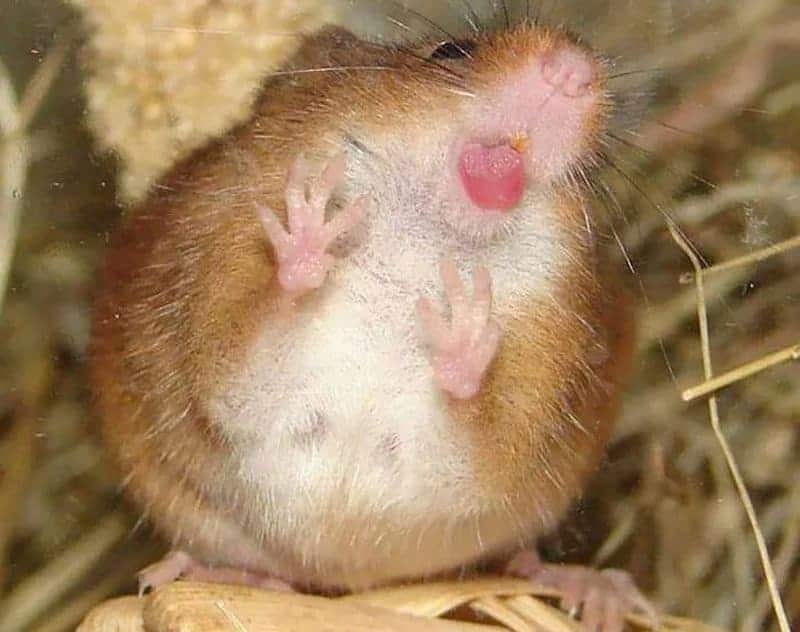 It is so cute and so funny, but that tongue is huge! We are thinking this person was out in the park and enjoying their lunch and this squirrel came up to their car and wanted to enjoy their lunch with them. They are definitely intrigued by something and really want to taste it. 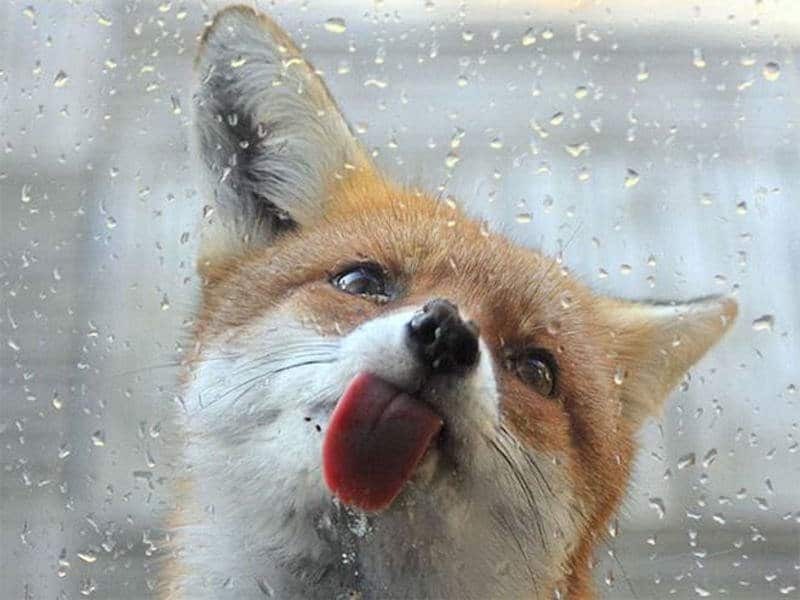 Another fox makes the list, as that head tilt is just adorable. They just want to come inside, but those rain drops taste so good and it helps quench their thirst. We don’t know if we should be afraid or if we should be laughing at this one. This dog has a scary face, but it looks like they could have been barking and excited, running right into the window, which would have been hilarious to see! The squirrels really do love windows, especially when it is raining outside. Either they are licking it to get some hydration or they are licking it to get the attention of someone inside to get them out of the rain! We just giggled when we saw this one! 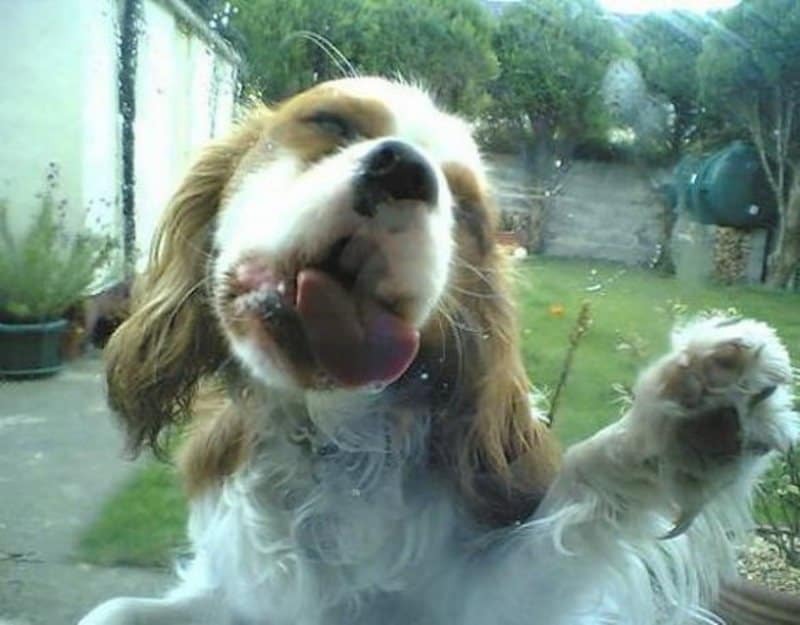 This dog looks like they are having the time of their lives and so happy to be licking that window. They are in their own world and having a blast. 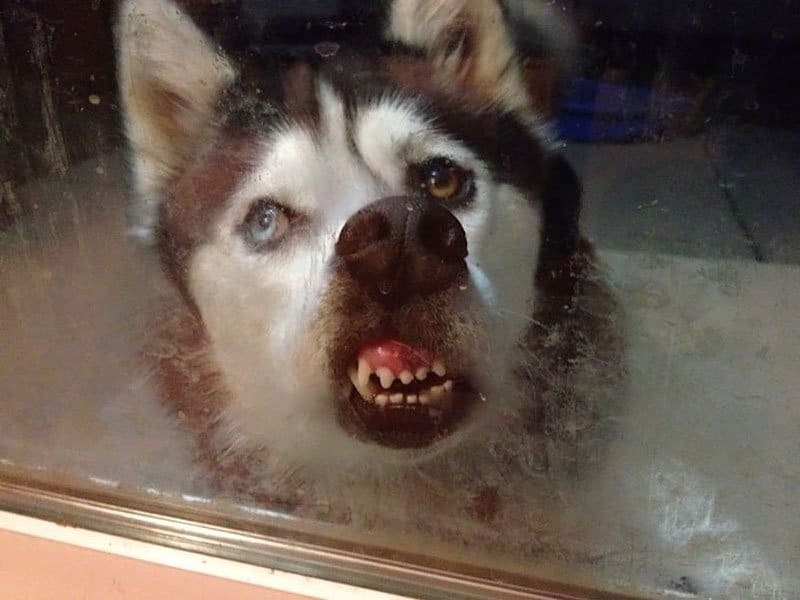 This husky is made to look angry, but they just want to get inside and you won’t let them! That lip gets caught on the window and a growl comes out, but look at those puppy eyes and you fall in love. This cat is so scared of being outside in the rain that they lost one of their ears. 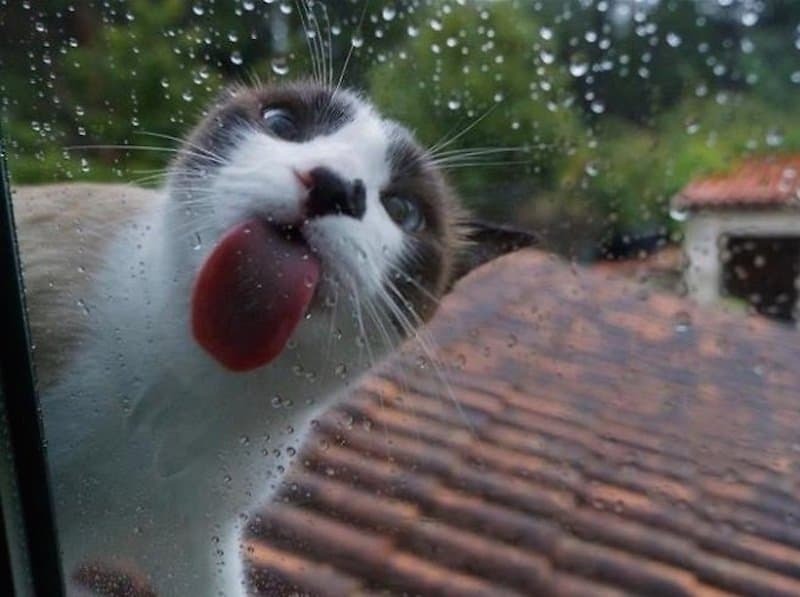 Nevertheless, the cat looks extremely cute, looking as if they’ve just found the perfect thing to lick. 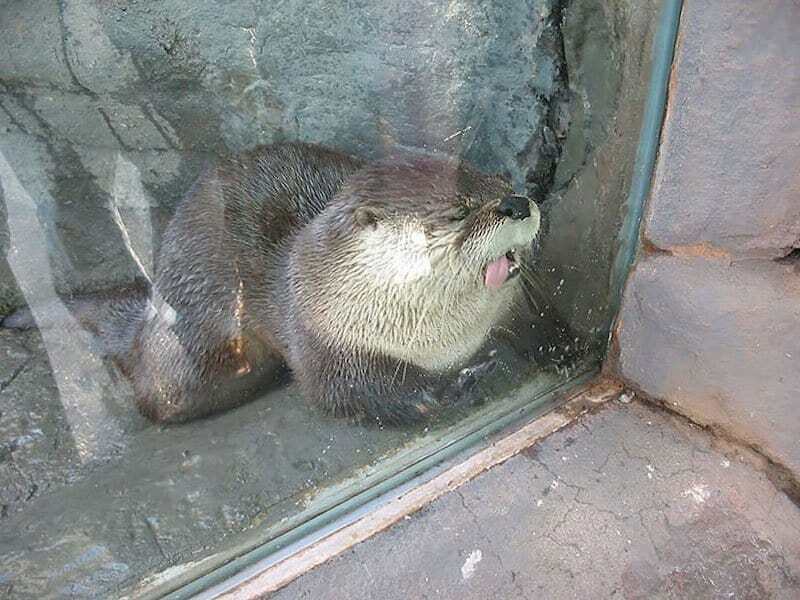 From the looks of this photo, it appears that this otter was licking something on the window and then fell asleep. We wonder if he was too tired to continue licking, and just fell asleep right there and then. We have another growler in the mix, but it seems as if they’re not too happy about being inside and have gotten their lip stuck on the window. 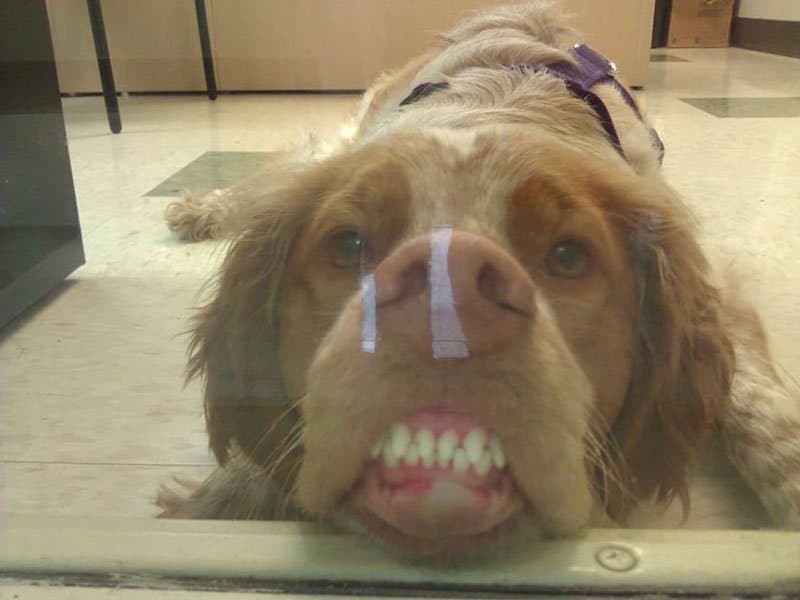 Although those teeth look pretty terrifying, the dog does look cute.